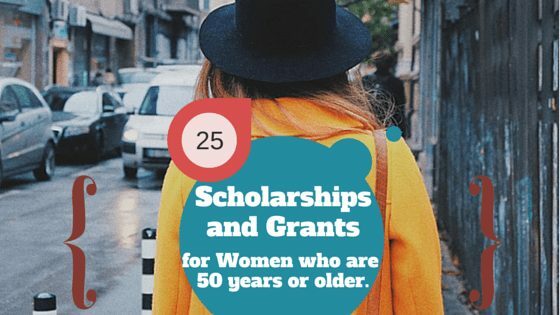 There are quite a number of scholarships and grants for women who seek higher education, however qualifying for them when you are over 50 years is another challenge. Women over 50 years have often paid a lot of sacrifice, some abandoned their dream of going to college, some have to see their children through college, some have to fend for their family with a meager income, some are widowed or divorced. A waitress named Cindy in 2014 graduated with an English/Journalism double major degree despite all odds against her, she is a single mum, works 3 jobs to support her family and over 50 years old. What made the difference for her was the combination of scholarships and grants she received, you can do better than her, more on scholarships and grants for women over 50 years. Imagine the potential of going back to school. You can get a raise in pay or a better standard of living. Supporting your family will be better and less stressful. Fulfilling your dream of going to college. You can begin a career or change. Scholarships and grants are great because you do not need to repay them back, unlike traditional student loans which require payment with or without interest rates. Common reasons for seeking a grants and scholarships. Your husband is the bread winner of the family. It is free and does not require repayment. You have kids you are sponsoring through college. Your annual income barely sustain you. The program you intend to study is quite expensive. You are a widow who also work to fend for the family. This guide is designed to be exhaustive, if you find new scholarship and grants other than the ones listed here, please share it with us in the comment area. We would appreciate you sharing your scholarship and grants application experience, this will help a lot of people seeking more information about this topic. One of the most popular scholarship awardee the AARP Foundation Women’s Scholarship Program has been discontinued as at 2013. The Jeannette Rankin Fund is established to support low income earners and woman with critical financial need, who want to further their education. Scholarships are awarded to woman who are 35 years and older, who across the United States. A woman aged 35 or older. Pursuing a technical or vocational education, an associate’s degree, or a bachelor’s degree. Enrolled in, or accepted to, a regionally or ACICS* accredited school. They use the following to criteria award scholarship to qualified applicants. How to use your education to give back to the society. What I can deduce from the statement above is that, there might be need to write an easy or be interviewed by a panel. The policy statement is to make awards without prejudice, sentiment that may come in any form of discrimination. * To find out if your school is accredited please visit the database of accredited post secondary institutions and programs provided by the U.S. Department of Education to see if your school is accredited. Compare your estimated household income for the 2014 school year with the figures in this chart. For households with more than six members, add $7500 for each additional person. 2015/2016 scholarships application has been suspended to take care of scholarship renewals to women who were awarded in 2014. This is a federal government grant giving based on financial need, like most government aid, application for the grant can be completed for free using the Free Application for Federal Student Aid (FAFSA). The grant is awarded to low income undergraduate students in accredited schools, vocational students are also eligible. The maximum Federal Pell Grant award is $5,730 for the 2014–15 award year (July 1, 2014, to June 30, 2015). For the 2015–16 award year (July 1, 2015, to June 30, 2016), the maximum award will be $5,775. The grant is awarded without need for repayment. You must show that you need financial assistance. Grants can be paid to your school, to you or a combination of both. There is no age restriction when applying. Tablot has a scholarship in honor of its founder Nancy Tablot, the program rewards women who have shown exceptional ability and convictions. Women between the age of 20 to 60 years who are citizens or permanent residents in the US or Canada. The scholarship closes Jan 30th, application open date varies. Amount awarded ranges between $10,000 to $30,000 it comes along with perks like the clothing retails Tablot’s gift card. You must have earned your high school diploma on or before September, 2001. The clothing retailer Talbots annually awards scholarships in honor of founder Nancy Talbot. This program celebrates women who demonstrate courage, conviction and an entrepreneurial spirit. Among other requirements, women must have earned their high school diploma or GED at least 10 years prior. This association is passionate about promoting and encouraging woman to break through barriers especially education. They have a broad scholarship offering to cater for different needs. The scholarship offered is suited for most women who are experiencing financial hardship or career limitation, if you believe a graduate degree will solve your career or financial degree then this might be for you. It is also ideal for applicants seeking to change career. Amount awarded ranges between $2,000 to $12,000 to cover for tuition, books local transport, child care and supplies. Also required is an easy which will contain a narrative paragraph, with a letter of recommendation submitted online containing the name and email address of the recommender. This application closes December 15. A fee of $35 (non-refundable) will be charged before application is received. You must hold a bachelor’s degree and not an honorary degree. You course should be in an area other than your degree if you are applying for an undergraduate program. Enrollment for master degree, professional degree, certification program, and technical school qualifies. Ph.D coursework, prerequisite coursework and dissertation is not eligible for funding. Association with AAUW makes past fellowship recipients, board, staff, panels, current interns not eligible. Must be enrolled in an accredited school or institution in the US. Approved online distance learning program also qualifies. This is a scholarship awarded by a group of professionals and businesswomen to women who are in need of financial assistance to attain a higher education. They have branches in several countries which include United States of America, Canada, Argentina, Panama, Venezuela, Bolivia, Taiwan Province of China, Brazil, Guam, Puerto Rico, Mexico, Nigeria, Chile, Philippines, Colombia, Peru, Korea, Costa Rica, Paraguay, Ecuador and Japan. Application is done through the local branch of Soroptomist, the scholarship program is called Soroptomist Women’s Opportunity Awards program. Awards value varies from one local club to another. To apply for Women’s Opportunity Awards program. Two reference will be required, you will need to demonstrate the need for financial assistance. An essay to determine why you should be awarded, and also why you deserve to get awarded. Another essay highlighting your career goals should also be awarded. You must be enrolled in a degree program or a skill or technical program. You must be a resident of any of the countries Soroptomist is currently present. You must be the bread winner of your household. Members, staff and board members are not allowed to apply, previous recipients of the award are also not allowed. This organization grants scholarship to women who want to support their family or themselves by returning to school to continue their education. To qualify for the award the local chapter of P.E.O. has to sponsor you. Grants does not exceed $3,000, and can only be used for academic and technical courses. The purpose of the grant is to help with tuition bills, books, and other educational related expenses. There are certain clauses to the use of the grant, loan repayment, and other personal expenses are not allowed. Applicant should be able to complete their program in at least 24 consecutive months. You must be enrolled in a program that will lead you to get a better job, raise, career change or advancement. You must have been out of school for at least 24 consecutive months in your adult life. The scholarship is a post secondary education funding initiative, targeted at re-entry students. The founder Bernard Osher is a passionate community leaders and a successful businessman, the scholarship is designed to help students with financial need. The scholarship goes exclusively towards tuition payment, and applicant must show good academic progress and commitment. To apply of Osher re-entry scholarship. You must be within the age of 20 – 50 years with at least 5 years gap in your education. You must be enrolled for an undergraduate program at an institution that receives the Osher grant. You must provide proof of financial need. This body is one of the most vibrant scholarship awardee, they have programs for re-entry women students and also the non-traditional women student. They scholarship is to encourage more women in financial need to pursue their dream to study and work in the field of engineering. They offer the BK Krenzer Memorial Re-entry Scholarship, Wanda Munn Scholarship and Olive Lynn Salembier Memorial Reentry Scholarship for nontraditional female students. To apply for Society of Women Engineers Scholarship. Academic qualification is considered, a minimum GPA of 3.0/4 is required. You must be enrolled in an accredited university that participates in the society of women engineers’ scholarship program. You must be out of school at least 2 years working in an engineering or technology field. The amount awarded is $1,500 to selected candidates, two reference letters will be required, one from a personal referee and another from a faculty member. Academic qualification is considered, you need at least 3.0 GPA. You must be out of school and job for at least 2 years. Sum awarded is $2,000 for selected candidate. You must be a non-traditional female student, trying to get a better job with a higher education. You must be enrolled to study in an undergraduate or graduate course in an accredited institution. You reside in the Northwestern United States, which includes Washington, Alaska, Oregon, Idaho and Montana. An easy is required, with two reference letters. The foundation is driven towards encouraging more women to pursue their career in the field of accounting. The foundation provides scholarships at all education levels and offers specific Women in Transition (WIT) and Women in Need (WIN) Scholarships to women who are the main source of family income. Women in Need (WIN) Scholarships are awarded to women who have completed their sophomore year in school, selected applicants receives an award of $2,000 per year for 2 years. Women in Transition (WIT) Scholarships are awarded to women who are enrolled for a degree in accounting, first year applicants or freshman are considered. Selected applicant will receive a sum of $16,000 over the course of 4 years. To apply for EFWA’s scholarship. You must be accepted for enrollment or admitted to study in a university. You must proof you need financial assistance. You must provide tax return for the last 3 years. 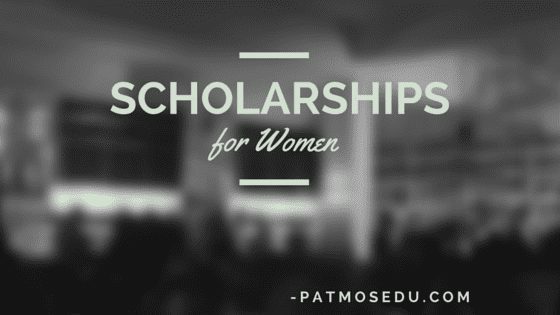 You may mention patmosedu.com has the source of where you heard about the scholarship. If you have awards, recommendations, community service record show them to enhance your acceptance. Letter of reference from two references. Linda Lael Miller is a bestselling author who has a scholarship for women who wants to further their education, her goals is to encourage women who has dire financial need. To apply you must be able to show you why you need to get the scholarship, and how it would enhance your future and family. Women who are 25 years or older can apply. She does have little restrictions. The program awards $10,000 among chosen applicant, the amount received can be used for living expense, books, transport and other educational related expenses. You must be a US or Canadian citizen. You must have been enrolled at a university or college. You will have to write a 500-word essay describing why you are applying for the scholarship, and how it will help your educational goals and elevate you and your family’s future. This foundation supports mature women going back to school, the program is available for women who live within the US East Coast area. To apply you must demonstrate why you should be awarded the scholarship, women older than 50 years can also apply. It is suitable for women who are enhancing their career or pursing an undergraduate degree. If you understand the power of giving back and you also have the drive to grow, empower and develop your potential then this scholarship is meant for you. The Emerge scholarship is awarded to women who have show exemplary act and desire to enhance their future and that of their family. If you are 25 years or older you can apply for Emerge Scholarship. This is a scholarship program for women outside the US, the fund is awarded to qualifying women born before 1970. It is targeted at developing economy to help women in this countries who have financial challenge get educated. To apply for The Margaret MacNamara Memorial Fund start now. This scholarship is open to women who are 35 years or older, it is an initiative of the National Council of Jewish Women – Los Angeles. If you reside or attend school around Greater Los Angeles you can apply for this scholarship. The amount awarded is $1,000 to recipients, you must be able to demonstrate the need for financial assistance. Aside from the conditions mentioned above. You must submit an essay related to your goals, aspirations and ambition. You should be able to tie it with the need for the scholarship and how the scholarship will be of value to you. You marital status or dependents number does not matter. This scholarship is for women in science, this is to scholarship is to encourage women who need financial assistance. The Brookhaven Women in Science (BWIS) Renate W. Chasman Scholarship awards the sum of $2,000 to selected applicant. Application closes November 30 for Brook Haven Women in Science Scholarship. You must be a resident of Long Island New York. You must be pursing natural science course, mathematics, or engineering. You must be at least an undergraduate junior in college or university. You must be nominated by your university in the first year of your study, to be awarded in the second year. You must be studying courses related to computer science, mathematics and electrical engineering. This is a scholarship instituted by Zonta International to advance to course of women especially in the area of equality, they give out scholarship to deserving qualified women who are pursuing an undergraduate or graduate degree. The body awards $60,000 and shared among 12 winners annually, who are business management students. To apply for Jane M Klausman Women in Business Scholarship follow the instruction on their website. This foundation supports mature women who needs financial assistance to complete their degree program, in partnership with universities across the US the foundation is promoting and encouraging women who want to pursue their first degree. Four-year colleges and universities in New York City, New Jersey, Maryland, Pennsylvania, Delaware and Washington, DC, are limited to use the foundation grants. The partner institution release this scholarship to deserving mature woman applicants. The program is for women who are 25 years and older, applicants cannot apply directly to the foundation for scholarship they have to go through their schools. The awarded amount can be used for educational related expenses and also childcare. To apply you must be a student of any of the institution below, contact your faculty staff for more details. You have to be enrolled full time or part-time and must have completed at least 60 credit hours. You must have at least a GPA of 2.5. You must be able to demonstrate why you need financial assistance or why financial aid is needed. You can also apply if you are pursuing a second degree, as long as you can show that the degree will benefit you better. This grant is for women who are interested in teaching, this grant also called Teacher Education Assistance for College and Higher Education (TEACH) grant. To apply you will need a Federal Student Aid PIN. The grant is offered to student who intend to pursue a career in teaching, and also agree to teach for a minimum of four years before considering a career change. You need to complete the TEACH Grant initial and subsequent counseling as well as a TEACH Grant Agreement to Serve (ATS). You must be a qualified teacher in a high-need field servicing low income areas or at an educational service agency. You must also fulfill the 4 years teaching requirement within eight years after completing the program. Royal Neighbors insurance company provides support in form of aid to women who want to improve themselves and their family, they provide scholarships, health discounts and disaster aid to their beneficiaries. Help women to reach their goals, especially those who need financial aid and are willing to improve themselves and their family. They are ideal for women above 50 years who want to return to school either for a career change or enhancement. An amount of $5,000 is awarded to selected applicant, this award is non-renewable and can be applied for yearly. From the New Horizons scholarship applicant a leader is selected and awarded $5,000 a year for up to four consecutive years. You must be enrolled at an accredited college or university and must have graduated from high school. This is not for students pursuing a degree course either a bachelor’s or master’s program. You must be interested in a skilled based program to qualify, or semi-professional qualification in your industry. Five grant of up to $500 is awarded selected beneficiaries. RNA Certificate number is also required. This is a grant given to students to help them cover the cost of their tuition, this grants are given to states by the federal government. This grant is given in exchange for community service and work study assistance. State agencies monitor and give out this grant. To apply get more information on LEAP Grants. NEH is an independent federal agency created in 1965. It is one of the largest funders of humanities programs in the United States. This grants are awarded to individuals who are interested in arts, colleges, library, and Radio stations. Go to grants.gov to fill the application. Grants.gov contains more than 1,000 grant awarding institution’s information. You can search for other grants other than the NEH grant. Details on the eligibility can be found on the web site. The National Endowment for the Arts is an independent federal agency that funds, promotes, and strengthens the creative capacity of our communities by providing all Americans with diverse opportunities for arts participation. They offer grants for writers and translators. To qualify, work must have been first published with an eligible publisher between these dates, not only reprinted or reissued in another format during this period. Fellowships in fiction, poetry, and creative nonfiction enable recipients to set aside time for writing, research, travel, and general career advancement. Non-matching grants are for $25,000. These guidelines are for creative writing fellowships in prose. Worldstudio AIGA Scholarships benefit minority and economically disadvantaged students who are studying the design/arts disciplines in colleges and universities in the United States. • to foster social and environmental responsibility in the artists, designers, and studios of tomorrow. To this end, scholarship recipients are selected not only for their ability and their need, but also for their demonstrated commitment to giving back to the larger community through their work. Basic scholarships are awarded in the amount of $2,000-$3,000. Grand Prize awards are also given each year in amounts up to $6,000 at the jury’s discretion. These awards are paid directly to your school to be applied toward your tuition. In addition, Honorable Mention prizes in the amount of $500 cash are awarded. Let us begin the conversation, scholarships and grants for women older than 50 may seem impossible. But in reality there are more than enough scholarship and grants for women. A few challenge I ran into include low award amount, non-renewable scholarships, cancelled program and cases where the year’s program was suspended in order to take care of previous awards renewal. Once again I will like to hear from you, share your challenges and issues you discover, if there is any scholarship or grant we missed out kindly get our attention to it.